A feature article earlier posted on this blog made it to the online magazine, AsiaMag recently. 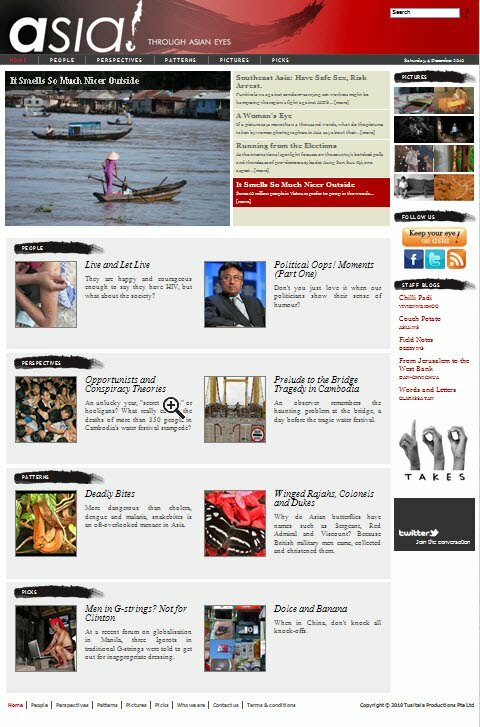 AsiaMag (theasiamag.com, or asia! 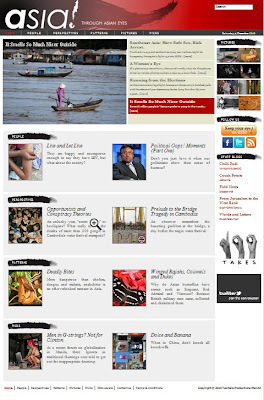 ), is an online and mobile platform for Asian bloggers and other writers. asia! is published by Tusitala Pte Ltd, which is part of the Potato Productions group based in Singapore. 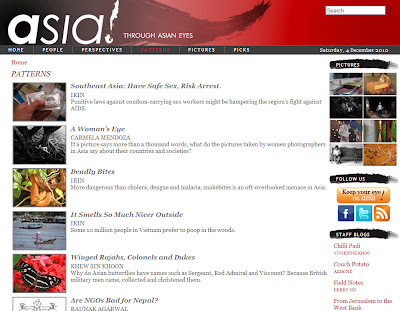 AsiaMag's aim is for asia! to be a place where people can get a feel for what ordinary Asians are thinking, saying and doing; a glimpse of the Asia that lies beyond the news headlines. The editors scour the web for fresh thinking and good writing about what’s going on in Asia. They look for interesting or entertaining perspectives on issues both big and small, and ask bloggers and writers to contribute their posts or to collaborate with AsiaMag in one or another way. 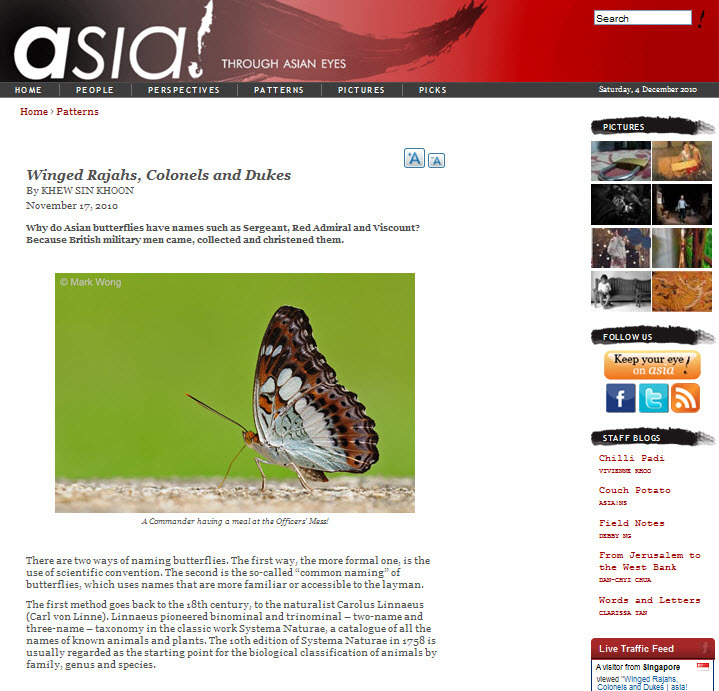 The article, which was originally titled "Origins of Some Common Names of Butterflies", caught the eye of one of the editors, Ms Clarissa Tan, and she approached me to feature the article in AsiaMag. The article is by no means exhaustive nor authoritative, but my own theory of how the common English names of butterflies could have possibly originated. It was an article that was meant to prompt some thought and discussion on how common names of butterflies came to be and my postulations of how some of these names could have originated in this part of the world. 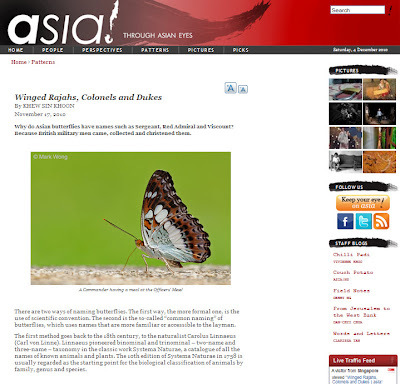 The article can be found under the "Patterns" tab in the online magazine and is titled "Winged Rajahs, Colonels and Dukes". A reader also made an observation on the post, saying "Actually, what is really curious about this (re: colonial science) is the way recent historiography has pointed out the imperialist motivations underlying such scientific endeavours-- in the early days of the raj it was as the writer points out, alot of individuals who for their own interest pursued these hobbies -- 'gentlemanly science' as it is called; but as you go further on into the 1800s, science in general was seen as way of rationalising india and the rest of the empire into governable spheres of knowledge, and in so doing create what Foucault later called 'governmentality'. see David Arnold and Gyan Prakash. Fascinating." 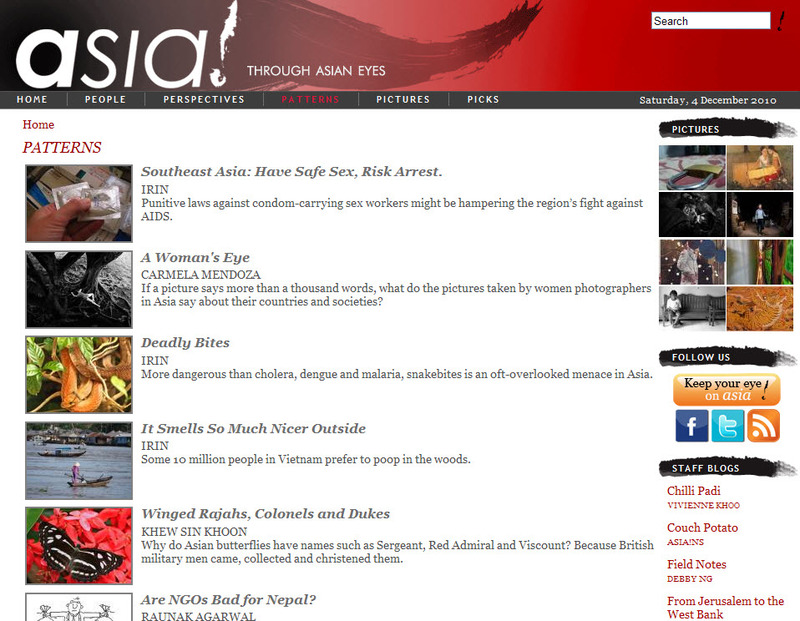 Many thanks to Ms Clarissa Tan for giving ButterflyCircle the honour of featuring an article on AsiaMag!